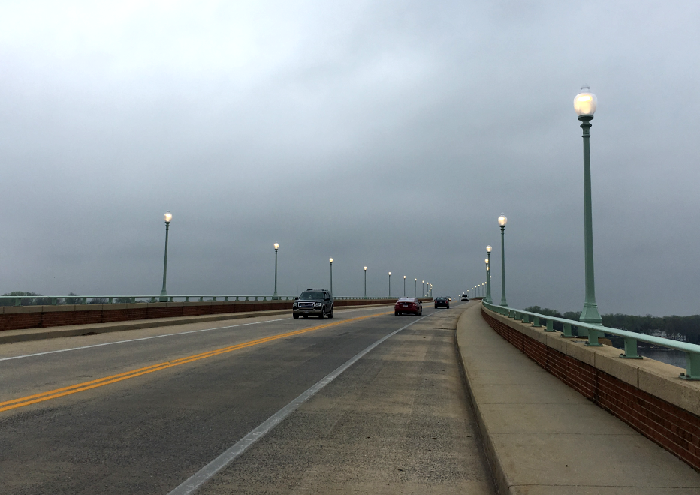 (May 9, 2018) – The Maryland Department of Transportation State Highway Administration (MDOT SHA) completed installation of new light fixtures on the MD 450 Bridge over the Severn River (The Naval Academy Bridge). Crews expedited to work to complete by US Naval Academy commencement activities. 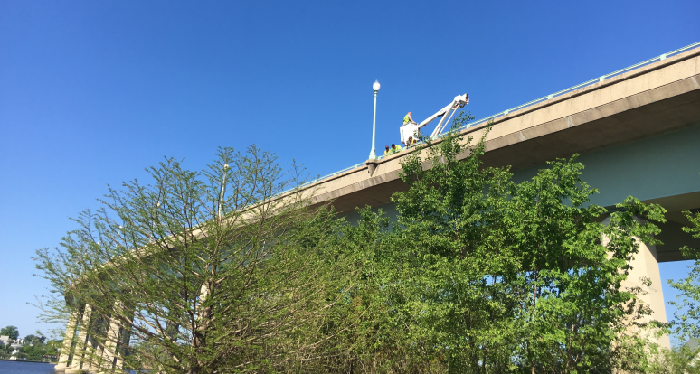 The new lamp fixtures are waterproof and will prevent moisture from entering the lighting system luminaires, creating reliable lighting on the bridge. The lights will remain lit 24 hours a day for approximately one week for testing and evaluation of their operation. MDOT SHA began replacing the lights in April.